Follow the steps below to configure a service so as to extract its related alert data from Sentry. Squadcast will then process this information to create incidents for this service as per your preferences. On the Sidebar, click on services. You can either navigate to an existing service or make a new one by clicking on “Add Service”. Check the service details like name, description, and the associated escalation policy for this service and make sure it is correctly entered. From the integration types drop down select the integration type as “Sentry”. You will be shown your sentry webhook url. Now log in to your sentry account and go to your project settings. 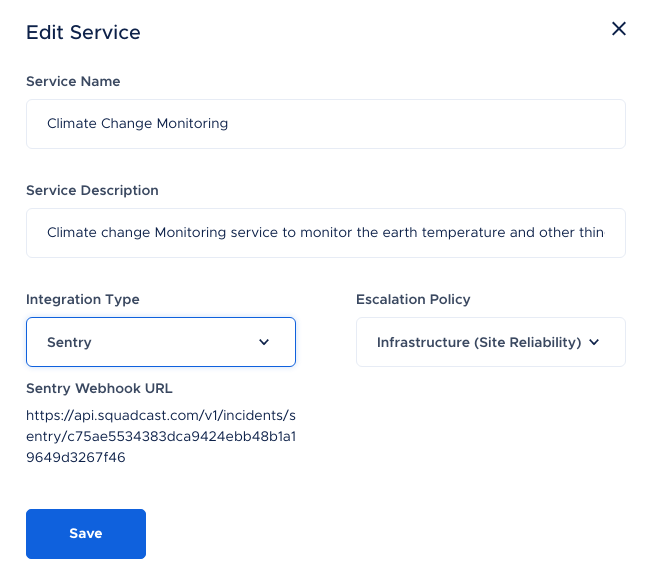 Under alerts section, under settings tab, go to integrations and select webhook and under callback urls paste the url you received in step 4. Under alerts section under settings adjust the minimum delivery interval and maximum delivery interval. That's it! 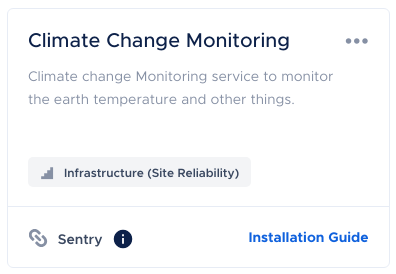 Your Sentry integration is now good to go.